Mendocino Brewing Company’s flamboyant billionaire owner, Vijay Mallya, is in the eye of a financial hurricane that has encumbered his ability to keep his historic Mendocino Brewing Company in Ukiah, Calif., funded. The company that started in 1983 as California’s first brewpub got into financial difficulties in the mid-nineties after an ambitious but underfunded expansion by the original founders and was “rescued” by Mallya with an investment and a bridge loan holding the brewery as collateral. Mallya took control of the brewery in 1997. He also acquired other breweries in California, Portland, Ore., and Saratoga Springs, N.Y., via similar means. In an era of rapid brewery expansions responding to a seemingly insatiable demand for “craft beer,” and Big Beer’s voracious appetite to acquire strategic craft breweries by paying premium prices, Mendocino Brewing’s fortunes waned as its iconic brands got left behind by uninspired management and a fickle public embracing the latest beer star. Mendocino’s extensive contract brewing failed to fill the void. The company, turning to its chairman for assistance, instead finds itself confronted with a mogul mired in a financial disaster seemingly of his own making. 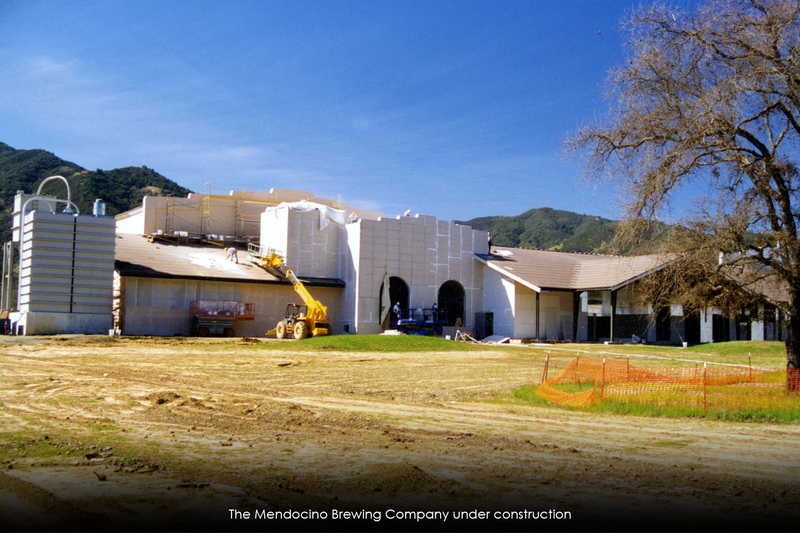 Mendocino Brewing was built from the ashes of the country’s first microbrewery since prohibition, New Albion Brewing Company, in Sonoma, Calif. When New Albion went down, brewers Don Barkley and Michael Lovett brought some of the old equipment to the tiny village of Hopland, in Mendocino County, Calif., an area steeped in hop-growing history. 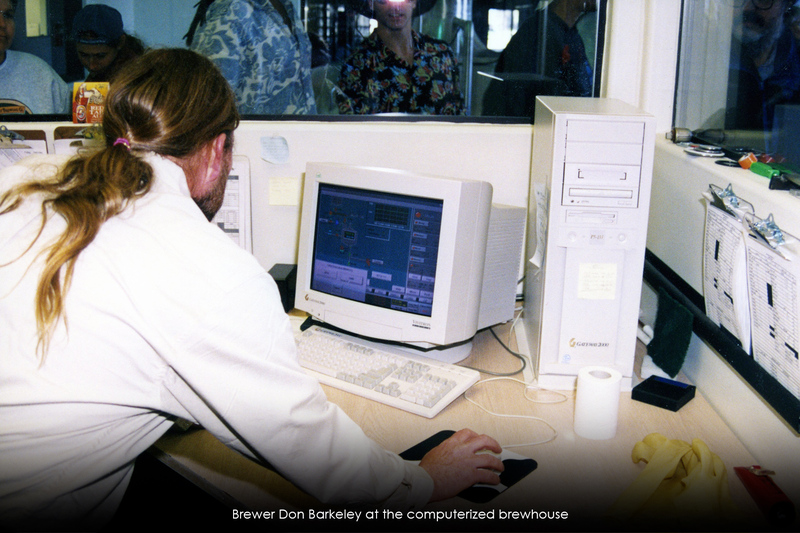 Together with primary investors Michael Laybourn, Norman Franks and John Scahill, the partners opened the first brewpub in California on a hot August afternoon in 1983. The company, turning to its chairman for assistance, instead finds itself confronted with a mogul mired in a financial disaster seemingly of his own making. The beers were named after indigenous birds like blue herons and raptors like red-tailed and black hawks. Perhaps the first time I ever witnesses beer geeks lining up en masse for a new beer release was for Mendocino’s Eye of the Hawk, a strong ale specialty beer. The legend grew. The “gang of five” proved to be an unwieldy managerial circus, especially after imbibing some of their own product and Mendocino’s other most famous cash crop, necessitating that business best be accomplished before noon. I asked about their decision not to keg (I envisioned Red Tail Ale handles across California), and they felt that their beer belonged in bottles. The 17-barrel brewhouse was soon working overtime, reaching peak production of over 13,000 barrels a year. Given the limited tank farm, it was obvious that the boys had learned a lesson from Joseph Owades, Ph.D., who taught the big boys the techniques and economies of high-gravity brewing. In 1994, Mendocino did a public offering to finance a much-needed production brewery in Ukiah, about 10 miles up the road from Hopland. Construction costs mushroomed, and new sources of funds were explored. Traditional bank loans were considered, but a new player was on the scene with a seemingly endless supply of money and enthusiasm for brewing. Enter international beer and spirits mogul Vijay Mallya. His investment/bridge loan/your brewery for collateral MO was by then pretty well known by Jim Bernau in Portland, Ore. His serial Microbreweries Across America chain of investor-owners was soon to be firmly in the hands of the Indian industrialist. Mallya’s introduction to the Mendocino investor family got off to an inauspicious start. The plan was to gather in a field near the brewery, and Mallya would fly in via his own helicopter (with him often at the controls). The assembled group waited hours in the hot Hopland sun for sight or sound of the chopper of destiny to arrive. They had not yet learned that Mallya had a reputation for never being on time for anything. Finally, Mendocino’s savior arrived, beers were shared (not for the pilot), papers were signed, and the deal was sealed. Later, when the new brewery was up and running, Mallya was invited to take a rafting trip down the Russian River with a case of the new beer for the Hopland pub. For a billionaire, being on a raft with Michael Laybourn as your guide must have been a life-changing experience. No electronic connectivity to his worldwide operations, no obedient staff at his beck and call. This would have made an epic reality TV episode. Finally, Mendocino’s savior arrived, beers were shared (not for the pilot), papers were signed, and the deal was sealed. Mallya then sought to establish himself in the “craft” brewing world by holding court in the summer of 1997 on his 165-foot yacht (one of several in his fleet). Modestly dubbed the Indian Achiever, the yacht was docked at the Chelsea Piers on the Hudson River in New York — a mere cork pop from Malcolm Forbes’s slightly smaller yacht. Beer media were invited to attend. As the Celebrator Lear jet was in the shop, I was unfortunately unable to witness the proceedings. Brooklyn Brewery’s Steve Hindy, however, was on board and wrote about it in his stellar industry historical work, The Craft Beer Revolution. “The yacht had a crew of twenty-four good-looking men and women, all Brits, a kind of revenge of the colonial. I went to the party and drank Mallya’s beer and ate his canapés. It turned out that Mallya was interested in Brooklyn Brewery because we were based in the Big Apple, where he had a duplex apartment in one of Donald Trump’s skyscrapers,” wrote Hindy. Hindy went on to describe his involvement with Mallya, who learned of Hindy’s early success as a collegiate golfer. “Hindy, have you ever played golf in Scotland?” Mallya asked him. “I am a member at Gleneagles Country Club. You can take your family and stay at my castle. It is near the course.” Well, now, what an offer, and to be sure, Hindy followed up and experienced being “laird of the manor” for the first time in his life. After returning to the States, he was invited to dinner back aboard the yacht, where he was asked to buy into a U.S.-based subsidiary of Mallya’s United Breweries Group. Hindy, having no interest in such a proposal, instead addressed the situation at Mallya’s brewery in Saratoga Springs, in upstate New York, where production demands had the brewery contract-brewing the wildly popular Brooklyn Pilsner. Mallya had yet to install a quality control laboratory there. Mallya’s production was not doing well, and Hindy broached the subject of him buying an interest in the upstate facility and making improvements. “Mallya exploded. ‘Do you think I do not know what I’m doing?’ he raged.” Hindy said Mallya stormed down to the main deck and told his men that [Hindy] was trying to steal his brewery. “It was time to abandon ship. That was the end of my friendship with the Indian billionaire,” Hindy wrote. 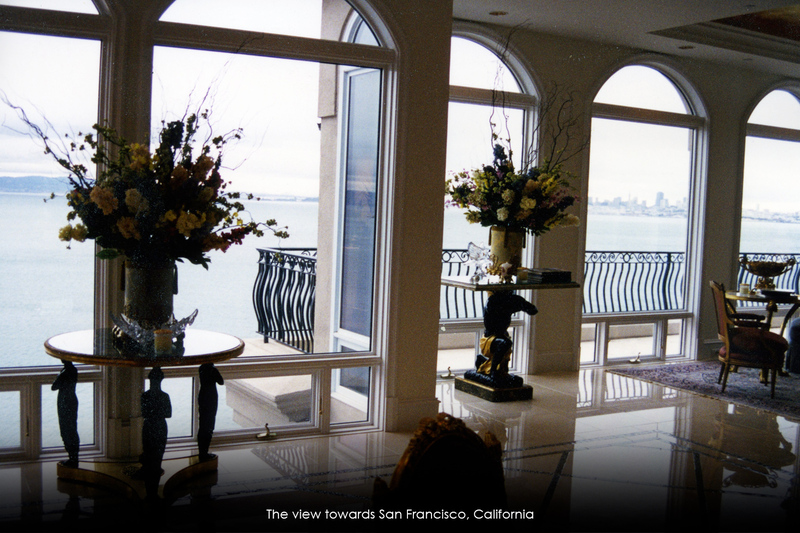 Less than two years later, I was invited to interview Mallya at his home/office in Sausalito, Calif., a small but very prosperous town anchoring the northern end of the Golden Gate Bridge in Marin County. I was given an address and a time to arrive. The narrow streets above Sausalito’s trendy waterfront are dotted with garages, a few smaller homes, and odd-looking structures that turn out to be the entrances to elevator shafts. I parked, entered the elevator and announced myself. The furnishings seemed a bit garish and contrasted with the fine art displayed on the walls, acquired at galleries and auction houses around the world, including works by Picasso, Renoir, Chagall and others. After a short ride down, I found myself in the living room of a storied 11,000-square-foot mansion that Mallya characteristically bought out of foreclosure (for a mere $1.2 million, according to the San Francisco Chronicle) and renovated (for many times the purchase price) into a stunning palace with an amazing panoramic view of the San Francisco skyline, from the Golden Gate Bridge on the right, past Alcatraz and Angel Islands, to the environs of Tiburon on the left. The home came at a price, both in dollars and in perseverance — both of which he seemed to possess in abundance. The furnishings seemed a bit garish and contrasted with the fine art displayed on the walls, acquired at galleries and auction houses around the world, including works by Picasso, Renoir, Chagall and others. 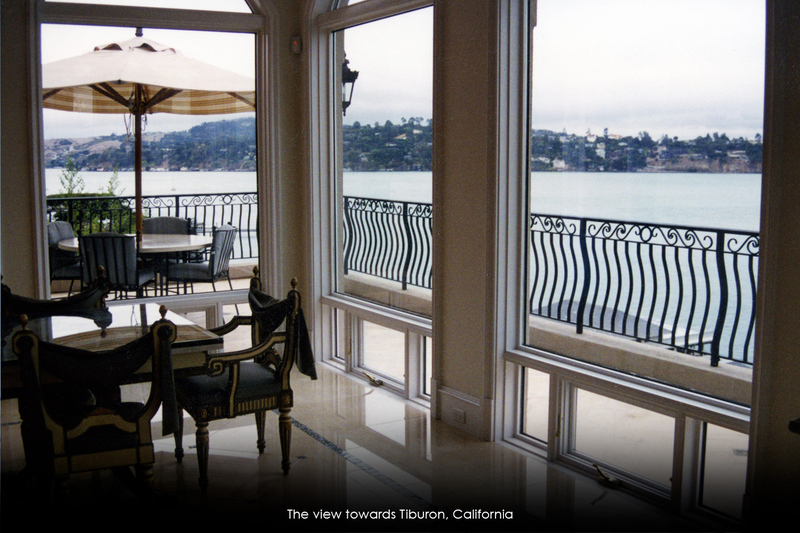 It was a sensory overload, considering my residence across the bay in blue-collar Hayward. Gulp. 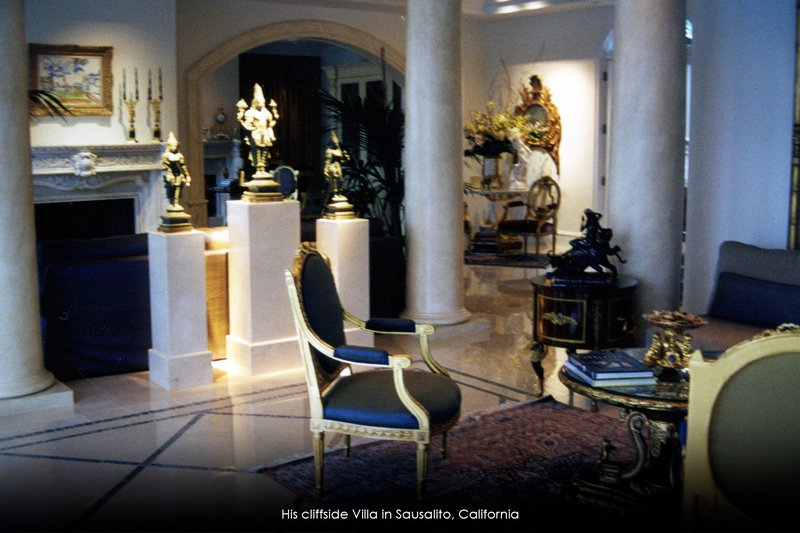 And this was just his Sausalito residence. According to Tony Bedi, who ran Mallya’s American United Breweries International, he has maybe 25 more homes around the world, in Napa, Calif.; Trump Plaza; the aforementioned castle in Scotland; Monte Carlo; London; a country home in Herefordshire, England; and a home in every major city in India, with a spectacular party spread in Goa on India’s western coast. Most of these are stocked with the necessities of opulence, from food and beverages to art, boats and cars. Oh, yes, the cars. A former Ferrari team driver, Mallya sponsors a Ferrari racing team in India and has a gaggle of glistening supercars and vintage collectable sports cars at most of his various destinations. 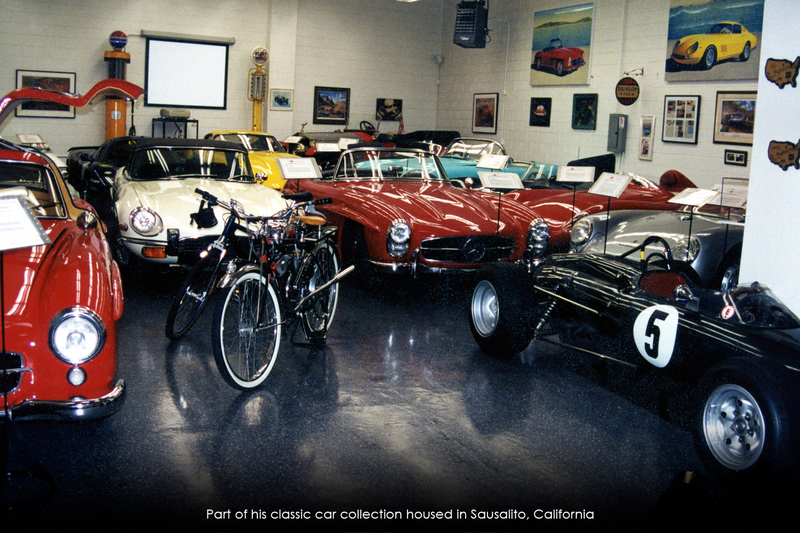 His collections rival only those of maybe Jay Leno. And boats? He has several major yachts around the world and also owns the famed Kalizma, a 165-foot Edwardian yacht once owned by Richard Burton and Elizabeth Taylor, which is based on the Mediterranean Sea. Several private jets get Mallya to his lavish destinations. I wandered around the main floor, wondering why I wasn’t being observed. And then I considered that maybe I was. Another gulp. A gentleman in a suit invited me into Mallya’s office. The room was dominated by a huge desk covered with computers, phones, magazines and an exquisite humidor. There were several underlings in suits sitting on the edges of their chairs as though they might spring into action at any moment. After what seemed like half an hour, Mallya entered the room, and polite conversations ceased. We were introduced. He gave me a once-over, noting that he and I, in a room full of suits, were the only ones wearing running shoes. That may have been a bonding moment… or not. This billionaire captain of industry was resplendent in a slightly faded Adidas warm-up outfit accessorized with a massive gold chronograph watch, a matching bracelet with the initials “VJM” in diamonds, and 24-karat gold necklaces and bracelets — mogul bling the total value of which might retire the debt of quite a few small breweries. His Achilles’ heel (or tail fin, if you will) could very well be the October 2012 collapse of his ambitious airline, named after his popular Indian beer, Kingfisher. We talked for nearly an hour, and Mallya seemed genuinely interested in discussing the history and future of small brewing. The full interview is available here. He did not share my belief that many more breweries would open in the coming years. “CBN: Where do you think this industry will be five years from now? VJM: As I told you, I think there will be five big players in the microbrewing industry, and that’s it.” That was in 1999. Today, Mallya’s brewing interests pale in the rapidly growing world of craft beer. With some 4,400 breweries in the U.S. and over 700 in California alone, Mallya’s prediction was off by a bit. The viability of Mendocino Brewing Company to survive in today’s beer market is further limited by its absentee ownership and the volatile financial storm surrounding Mallya’s vast business interests around the globe. His Achilles’ heel (or tail fin, if you will) could very well be the October 2012 collapse of his ambitious airline, named after his popular Indian beer, Kingfisher. Mallya went deeply into debt trying to keep alive his dream of a low-cost regional airline. For someone priding himself on sound business fundamentals, Mallya had an airline that was wildly unprofitable. Newspaper reports do, however, compliment his attention to detail in recruiting hostesses and hosting lavish promotional gatherings. Today, Mallya stands accused of bilking Indian banks of over a billion dollars, has had his passport canceled and has had to resign his membership in India’s upper house of parliament. Today, Mallya stands accused of bilking Indian banks of over a billion dollars, has had his passport canceled and has had to resign his membership in India’s upper house of parliament. A Mumbai court accused him of using over half of the massive loans he received to rescue the airline instead of to buy property abroad (although formal criminal charges have yet to be filed). In the face of all of his financial woes, he famously threw a lavish two-day party for himself on the occasion of his 60th birthday at his beachfront villa in Goa. A non-bailable arrest warrant has been issued by a Mumbai court, and Mallya now resides at some of his properties in England. One wonders if the Brexit vote and concomitant collapse of the English pound will further complicate matters. The Financial Chronicle in India reported in May 2016 that Mendocino Brewing “has been served ‘default’ notices by lenders in the past about the potential impact of Mallya’s legal woes in India on its own fortune. If it fails to secure funds, Mendocino said, the lenders may take ‘recourse against the applicable pledged collateral, which includes the company’s real and personal property in the U.S. and the U.K.’” Mendocino Brewing also reported that it paid Mallya over $250,000 annually for his “promotion” of the brewery’s brands. The London Financial Times’s article called “The Fall of Vijay Mallya” on May 4, 2016, concluded that Mallya seems resigned to the possibility of a long exile from India. “If the government makes circumstances where it is impossible for me to go and get justice, then I just have to make do with what I have,” he was quoted as saying. Meanwhile, Indian tax authorities are busy auctioning off Mallya’s assets, such as his luxurious private jet, the one that has his initials, VJM, painted in gold on the engines and wingtips and embossed on the leather seats, in lieu of unpaid taxes. Search YouTube for “Vijay Mallya cars seized by banks,” a cautionary tale to be sure. Defiance? Or resignation. On June 11, 2016, Mallya, who rivals Donald Trump in the Twittersphere, tweeted, “Life isn’t about waiting for the storm to pass. It’s about learning to dance in the rain — Vivian Greene. One of my favourites!” There were many responses to this tweet, some of them funny, some rude… not a few obscene.